Children love to explore, and there's no better place to combine curiosity and learning than at The Children's Museum of Green Bay. The interactive environment lets adults and children connect in a way that's fun for everyone. Inside kids can visit the Imagination Station, two celebration rooms and ten interactive galleries. Plus throughout the year, the Children's Museum offers special programs, such as Summer Camps, Science Saturdays, and Healthy Living. Since Green Bay is near water, the Children's Museum wanted to offer exhibits that best represent the outdoors, such as a Sandy Beach, Lighthouse, and Sailboat. Learn about nature at the Mighty Oak Tree, Garden Shop and Treehouse. Spend quiet time in the Reading Nook and visit a Diner. The Fire House and Fire Truck teach kids about fire safety and the Imagination Station lets them use their minds to dream and create. Other exhibits include a Shoe Store, Market, and Digestive System...where you enter the mouth and follow the food through the digestive tract. 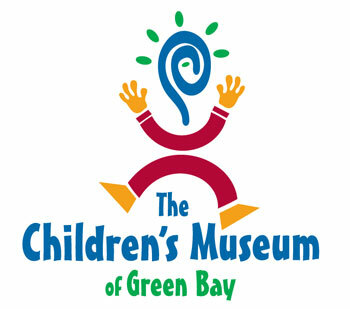 The Summer Camps are extremely popular at the Children's Museum of Green Bay. Create a unique work of art, paint, or get crafty by making jewelry or a folder holder. Legos play an important role at the Summer Camps--where you can make your own super hero, spaceship, or girl-inspired items. Summer Camps run mid-June to mid-August for ages 5-11 and are two hours in length, including snack and playtime. Community Kids is where local professionals come in and speak about their profession and Science Saturdays allows children to explore the world of science through hands-on science stations throughout the museum. There are weekly art programs, Wee One-Hour (targeted for children 5 and under), and seasonal programs. Why not hold your child's next birthday party at the Children's Museum of Green Bay? They take care of everything, including a 1.5 hour room rental where kids can sing, eat lunch and have cake before heading out to explore the museum with unlimited access. They have various themes from which to choose, will provide two organized games and two learning leaders. It's a guaranteed good time for your birthday child and his/her guests, and easy for you! Almost any event can be held at the Children's Museum of Green Bay, including weddings, corporate events, reunions, anniversaries, showers, and holiday parties. The Children's Museum of Green Bay is located right downtown, at 301 N. Washington Street. They're open Tuesday-Saturday from 10am-5pm, Sundays and Mondays from 12pm-5pm. Admission is $8; Seniors $7; children 15 months and under free. Any time of year is a great time for your child to learn, explore, imagine, and have fun...at the Children's Museum of Green Bay.